Tonight we have three poets virtuosos of the indented line. a poetic cross stich that suggests meandering thought, magic, incantation, artifice: gravity and the deformations it produces the way the moon causes the tides. The accompaniment of tonight’s reading might be viola: dark, poised, more weighty than the violin. A viola concerto then: these are poets whose work is clean, immaculate even, locating emotional power in discretion, as if the poem were a threnody for the words left unsaid. The vocabulary and even the punctuation (lots of colons, m-dashes, commas) in Anne Shaw’s poems have a gilded, baroque quality, a careful, worked-over beauty that becomes even more intense when describing ugly and painful things. Anne’s poems luxuriate in flowing sentences and then suddenly pivot into stutters, sentence fragments like the word “Barnacled” all by itself, or shifting into italics. Yet there’s always an italicized quality to her work, and Shaw’s poems make me wonder what would happen if you could italicize words that were already in italics. 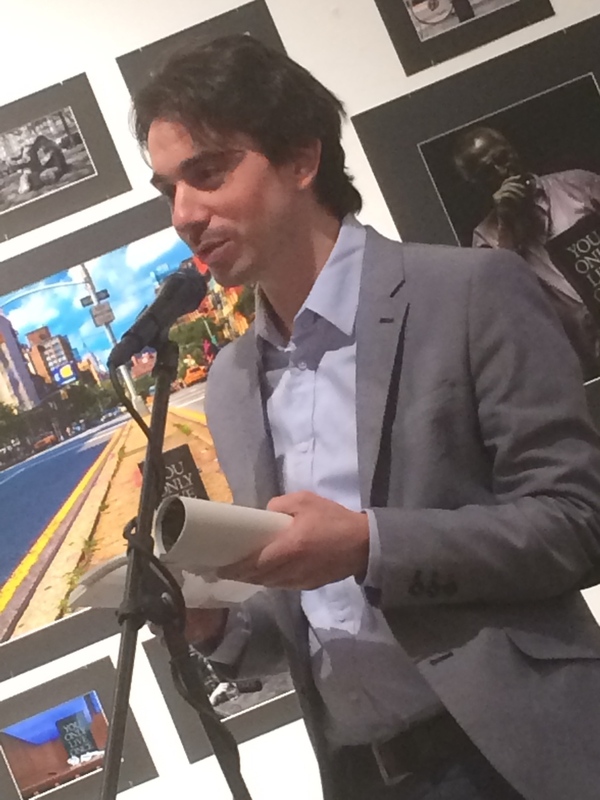 Joseph Fasano’s poems pose questions and then answer them. His poems remind me of someone laying out a series of still, black-and-white images one by one and placing them on the table. This photographic quality is doubly evocative of rituals. The offering of the photographs (or images) deployed one by one is ritualistic, in that its persistent quality could be taken as serene or relentless, inexorable. Then, there is also what is depicted in them and the way photography, or poetry – sentences, couplets, etc. --, aestheticizes what it has captured and makes something that has vanished into a ghost, a trace, a totem. Haunted by tutelary gods, Joseph's poems take on the voices of ghosts that reside in bodies and objects, which gives his work a feeling of gravity and purpose.